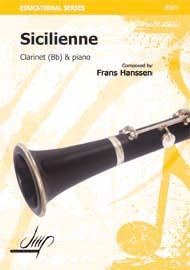 Staples of the clarinet repertoire, the Brahms clarinet sonata in E flat major and clarinet sonata in F minor continue to attract both players and fans of clarinet music to this very day. 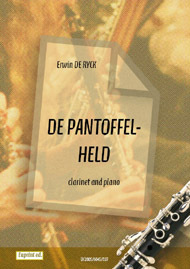 Inspired by Brahms good friend, the virtuosic clarinetist Richard Mühlfeld, these two very different pieces between them explore the full character of the clarinet. These pieces were premiered with Mühlfeld playing the clarinet and Brahms taking the piano part, with Clara and Robert Schumann among those treated to the performance. These were the last pieces written for solo clarinet by Brahms, and he considered them some of his finest. One of the most important things for the clarinetist to consider when deciding to play either the Clarinet Sonata in F minor Op 120 No 1 or the Clarinet Sonata in E flat major Op 120 No 2 is who they will have accompany them. This is because the piano parts for these sonatas are more than mere accompaniments, their music being arguably more difficult than that written for the clarinet. These sonatas, written towards the end of Brahms life, are often described as ‘autumnal’ and have a warm, melancholy feel for them. Their warm and mellow feel is not only suited to the clarinet – they are also often performed by the viola, which has a similar range. 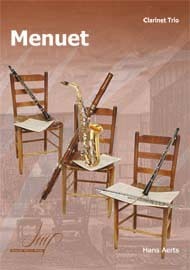 While neither the most difficult or easiest pieces in the repertoire for the clarinet, these two sonatas are some of the most popular pieces for the clarinet, often referred to, however obliquely, by later composers who wrote solo music for the clarinet.